The new third generation 2016 Honda Pilot brings together economy, efficiency and a sleek style, a far cry from earlier models. Brighter LED headlights and available LED daytime running lights and taillights mark its’ presence on the road. Other impressive options include 20-inch wheels and a panoramic moonroof, a first for Honda. The new Pilot features a new 3.5 litre V6 engine complete with Honda’s Variable Cylinder Management. Improved efficiencies are seen in highway driving with the engine running on three of six cylinders with low loads and idle stop/go for city driving. The new Pilot is also 140 kilograms lighter than it’s predecessor, offering better fuel economy. Base models include a six-speed transmission and higher models features Honda’s new nine-speed automatic transmission featuring push buttons for gear selection and paddle shifters for manual operation. The Pilot will now be available in new all-wheel drive in addition to the standard front-wheel drive. Available in both seven and eight seat models, the interior features soft-touch materials that up the ante for an upscale feel. New technologies are a big feature this year as older models were often criticized for their lack of convenience and high-tech touches. The Pilot features five USB ports, with four equipped with enough power to charge an iPad. The new eight-inch touchscreen is the hub of the infotainment system. Optional navigation boasts better graphics and a new 3D view of the vehicles surroundings, while cross-traffic alerts and Honda’s LaneWatch system improve the driving experience. The new Pilot will be released this summer, however no pricing information is available at this time. 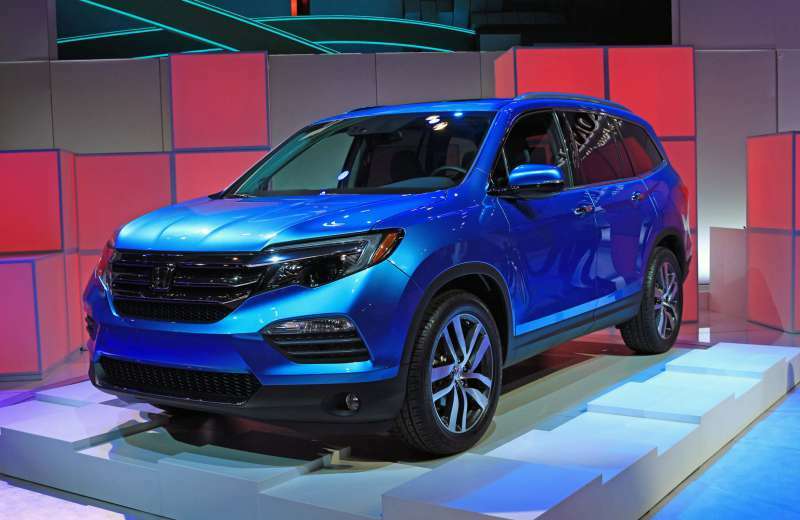 Stay tuned to this blog for more information about the Honda Pilot as soon as we have it!